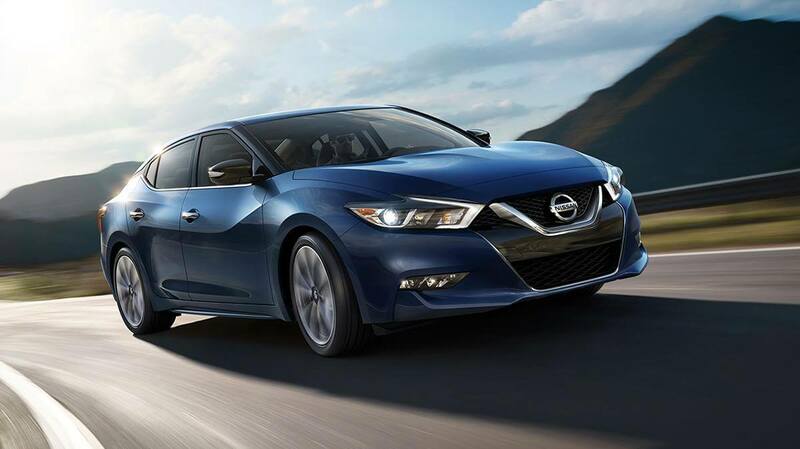 Sleek as a predator, the new Nissan Maxima has it all. This is a car that gives you the confidence to cut turns and handle your drive effortlessly no matter where you’re going or what the conditions. The Maxima is a repeated award-winner, achieving “highest ranked large car in initial quality” for its incredible, long-lasting quality and longevity. That’s a great reason to consider it one of the most well-rounded and capable vehicles in its class. Nissan specializes in making drivers feel like every driving experience is customized and designed only for the individual. Customer satisfaction is high, thanks to tireless dedication to constant improvement and innovation. Each new Maxima Nissan for sale in El Paso makes this clear and obvious from the first introduction. Dazzling new features, modernized technology, and enhanced performance ensure the Maxima is a reliable and timeless choice, year after year. The Nissan Maxima’s history is long and prolific. First created in 1981 with the Datsun Maxima, it has exploded in popularity over the years, becoming a true American standard. This is a full-size sedan that originally started as a mid-size, but was later expanded to meet the needs of a growing fanbase. Nissan called Japan home until just after 2003, when they moved into their Tennessee location – the same location where all North American vehicles under the brand are made today. The Maxima shines best in most recent models, with versions from the past two to five years showing an incredible amount of growth. Design features like front seats fashioned after more sporty brands and models elevate it beyond a simple family full-size. These shock-absorbing, zero-gravity seats let you cruise through the night (or just your commute) with reduced fatigue. Full, individually-adjustable climate controls within the front seats enhance your driving experience and let you tune up the temperature on the rare occasion that El Paso’s weather dips below the 50s. A heated steering wheel keeps your hands warm, while its unique shape provides more leg clearance and gives the interior a serious Nascar sport feel. The Maxima also excels at providing drivers with the ability to control everything at just a touch. An interior console shifted 7 Degrees toward the driver makes it faster (and safer) to adjust key controls across a wide variety of functionalities. This includes the Maxima’s unique “sport mode” for additional performance. The Maxima also has enhanced audio systems for a sublime listening experience. Whether you want to amp up every roar from the powerhouse engine or cancel them out for a quiet ride, you can do just that. Parents with infants, rejoice: you can still enjoy your music without waking your baby. Single and ready to cruise the town? Turn it up and sing along as the Maxima cradles you in comfort and cruises down the road. Laminated windows reduce noise pollution from the outside while also preventing sound leakage, ensuring you don’t disturb the neighborhood. Safety keeps everyone more secure on the road, and Nissan is one of the most reliable brands for security features. Over the years, they’ve stepped up the game with Nissan Intelligent Mobility, a system that uses AI to automatically interpret and detect driver actions. With just the slightest adjustment of the steering wheel, your car knows you’re about to turn – or even if you’re about to crash. In the unfortunate event of a crash, your car boasts the ability to dial for rescue and assistance, even without your input. This is similar to the older OnStar technology, but comes built directly into the vehicle with every model that rolls off the line and into your driveway. The system also intuitively adjusts your vehicle for better performance, efficiency, and safety for a more enjoyable ride. Expect warnings for blind spots and potential collisions, cruise control alerts, and rear cross traffic alerts. Never worry about pulling out of a parking space again. Nissan Intelligent Mobility also comes with hands-free texting, so you can let your friends know you’re on the way after you’ve already left work. You can also get detailed directions, safety alerts, and more all on the updated, modern display. A Bose audio system will also play every song you pick with clear, dulcet quality. The lifeblood of the Nissan Maxima is its engine, and that, too, has significantly improved over the years. We’re talking about engines like the storied VQ V6, designed for maximum impact and seamless zero to 100 – no stutters or failures in between. Features like the “sport mode” button let you kick it into overdrive and give your vehicle the adrenaline shot it needs to charge through difficult driving conditions. The Maxima comes with a continuously variable transmission (CVT); admittedly, this can take drivers who haven’t yet experienced it a little while to get used to. But just a few drives will be more than enough to showcase just how special the CVT can be in the right hands. The Xtronic CVT® also benefits drivers by automatically adjusting for stability and acceleration control. Now that we’ve convinced you that the Maxima is a car that you can’t live without, head down to Casa Nissan to see for yourself what everyone’s talking about!